The study, conducted by researchers at the Eli and Edythe Broad Center of Regenerative Medicine and Stem Cell Research, was published this month in the journal Cell. Induced pluripotent stem cells, known as iPSCs, are cells that can be generated from adult cells and then, like embryonic stem cells, be directed to become any cell in the human body. 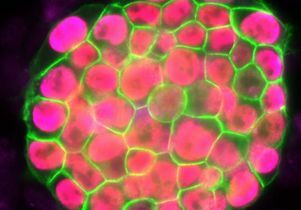 Adult cells can also be reprogrammed in the lab to change from a specialized cell back to an iPSC (and thus becoming a cell similar to that of an embryonic stem cell). Reprogramming takes one to two weeks and is a largely inefficient process, with typically less than one percent of the starting cells successfully becoming an iPSC. The exact stages a cell goes through during the reprogramming process are not well understood. This knowledge is important, as iPSCs hold great promise in the field of regenerative medicine, as they can reproduce indefinitely and provide a single source of patient-specific cells to replace those lost to injury or disease. They can also be used to create novel disease models from which new drugs and therapies can be developed. 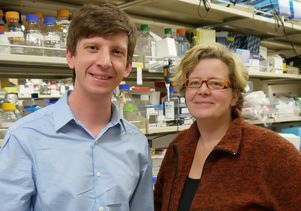 Vincent Pasque and Jason Tchieu, postdoctoral fellows in Plath’s lab and co-first authors of the study, developed a roadmap of the reprogramming process using detailed time-course analyses. They induced the reprogramming of specialized cells (that could only make more of themselves, and not other cell types), then observed and analyzed on a daily basis or every other day the process of transformation at the single-cell level. The data was collected and recorded during a period of up to two weeks. Plath’s team found that the changes that happen in cells during reprogramming occur in sequentially, and that importantly, the stages of the sequence were the same across the different reprogramming systems and different cell types analyzed. Plath’s team further discovered that the stages of reprogramming to iPSC are different from what was expected. They found that it is not simply the reversed sequence of stages of embryo development. Some steps are reversed in the expected order; others do not actually happen in the exact reverse order and resist a change until late during reprogramming to iPSCs. With these findings, Plath’s lab plans future studies to actively isolate specific cell types during specific stages of reprogramming. They also hope the research will encourage further investigation into the characteristics of iPSC development. The research was supported by grants from the California Institute for Regenerative Medicine, the state’s stem cell agency. Additional funding was provided by the UCLA Broad Stem Cell Research Center through philanthropy and other sources.